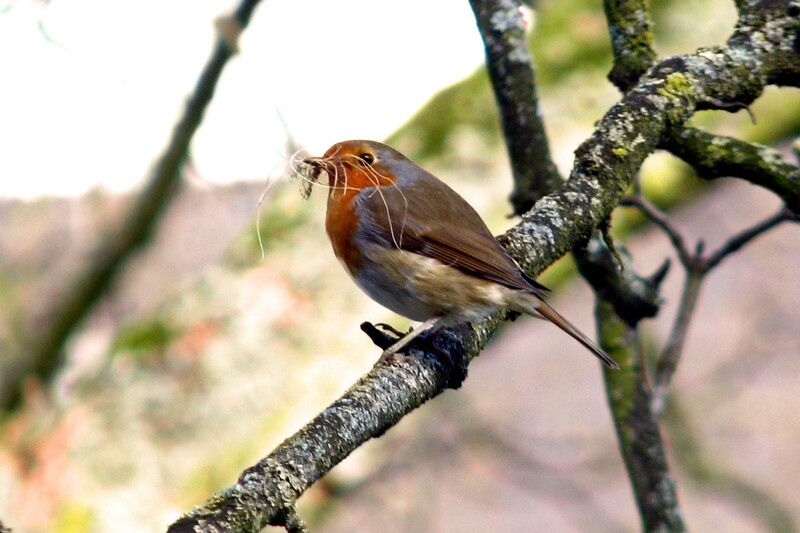 Remember this little Robin with the twigs in its beak from about three weeks ago? It turns out it was really building a nest – on our neighbour’s balcony! She accidentially found the nest today, there were already five eggs in it and we hope that it wasn’t disturbed it too much and the birds will return to it. We’ve seen the Robins hop around the balconies afterwards, so they will probably be fine – the nest is somewhat deep in a flowerpot and should be quite safe. That’s not the first time somebird has built a nest on the balconies, but we’ve never had Robins before, only Blackbirds. We’ll see how this turns out, but the photograpic opportunities are a bit limited and I didn’t get a photo of the eggs because we didn’t want to disturb them too much.